This month I will be talking about managing Windows services using PowerShell on MCPMag.com. Be sure to stop over there and check out the articles and let me know what you think! 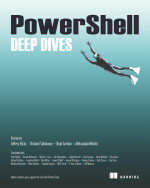 This entry was posted in News, powershell and tagged mcpmag, Powershell, services. Bookmark the permalink.